In Ramah is heard the sound of sobbing, bitter weeping! 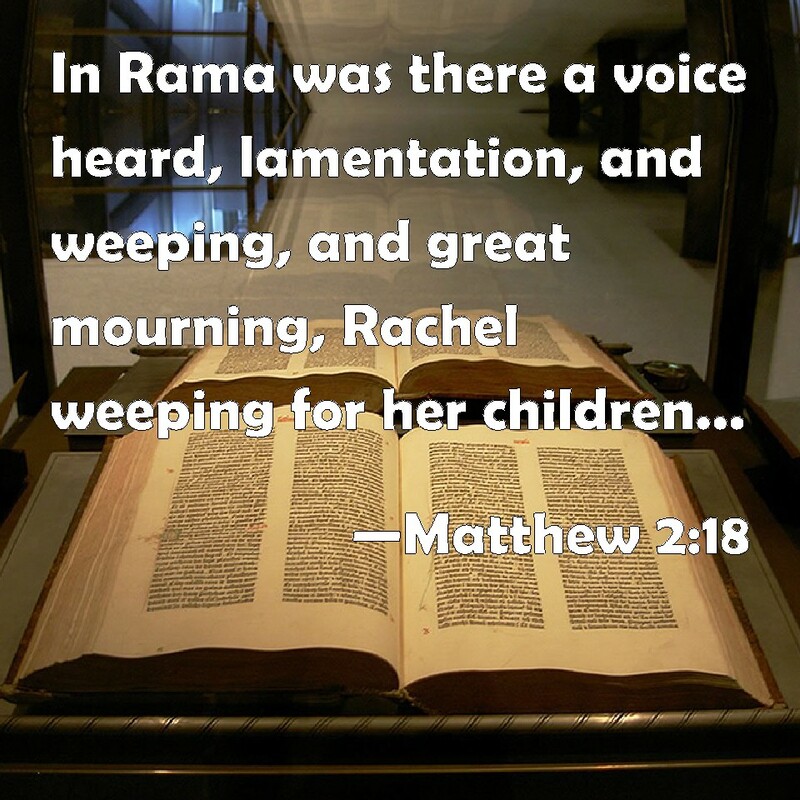 Rachel mourns for her children, she refuses to be consoled for her children—they are no more! 16 Thus says the LORD: Cease your cries of weeping, hold back your tears! There is compensation for your labor—oracle of the LORD— they shall return from the enemy’s land. 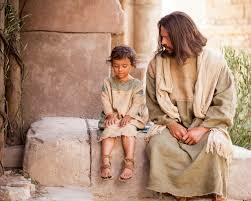 17 There is hope for your future—oracle of the LORD—your children shall return to their own territory. 18 Indeed, I heard Ephraim rocking in grief: You chastised me, and I was chastised; I was like an untamed calf. Bring me back, let me come back, for you are the LORD, my God. 19 For after I turned away, I repented; after I came to myself, I struck my thigh; I was ashamed, even humiliated, because I bore the disgrace of my youth. My dearly beloved daughter, how I have missed your time and how I rejoice that the spiritual darkness, which has covered you for days, has now lifted. You must keep reciting the Most Holy Rosary in order to protect yourself and all will be well. The Earth will shake, as foretold, and one-third of it will be scorched, as a direct result of the sin of man. Prayer can mitigate much of these flames, which will be poured down on parts of the world where wicked laws infuriate My Father. Sin against the Laws of God will be tolerated as long as those who know the Truth and accept the Word of God, honour Him. But now, those you have placed in positions of power have turned their backs on God. For this they will be punished through ecological turmoil. The purification is the only means to wake up humanity, in that they will seek remorse for their souls. Other means, while creating conversion, have not been enough. Man will suffer a great series of chastisements, as they continue to embrace paganism and murder each other. God’s Intervention is necessary. Without it you would be forsaken. There will be powerful earthquakes in Russia and China soon and they will take place one after the other. Weather extremes and sudden changes in temperatures from cold to very hot will be seen. The seasons will no longer be seen in the way in which they were in the past. Floods and sea storms will be seen in parts of the world, which have never experienced them up to now. In the countries, which pass wicked laws against God, earthquakes will rattle their lands and for those who know Me, they will know why they are taking place. When the chastisements take place, there will come a second terrible punishment, which will be inflicted on false churches, who deliberately block the Truth. For they will suffer the most, because of the souls they have stolen from Me. As I reveal more about the prophecies, which are contained in the Seals, man will eventually recognise the Truth. And while God is Love and while He is Just, His punishments will rain down upon humanity to rid it of its vanity, ego and self-love, so that man can become worthy to enter His New Paradise. Only those with pure and humble hearts will be given this Gift.